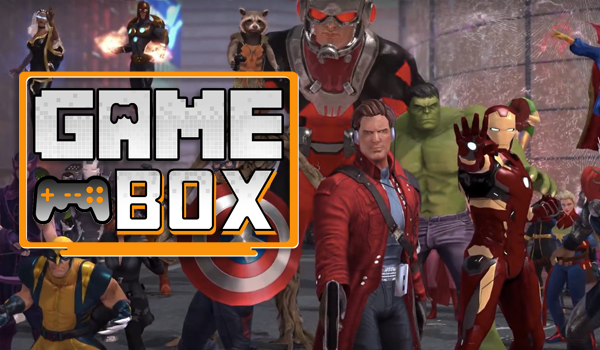 Hi guys, and welcome to Game Box; a new series where I look at some of the games I’ve been playing recently since I finally have a console again. 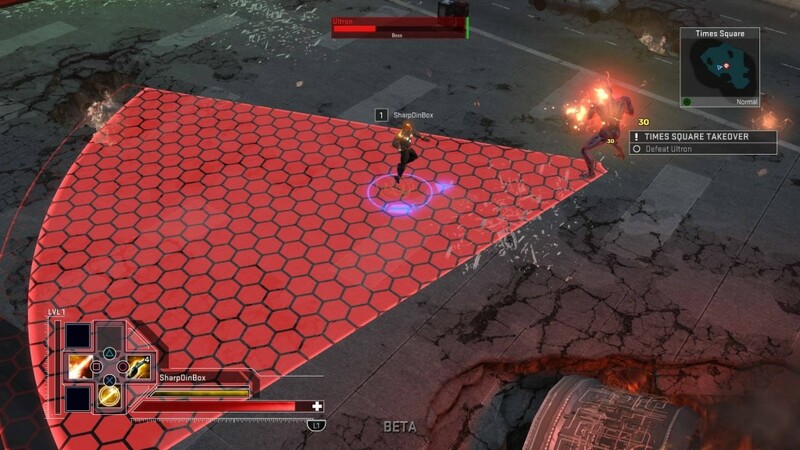 First up, I’m coming to be talking about the recent Open Beta for Gazillion Entertainment’s Marvel Heroes Omega. 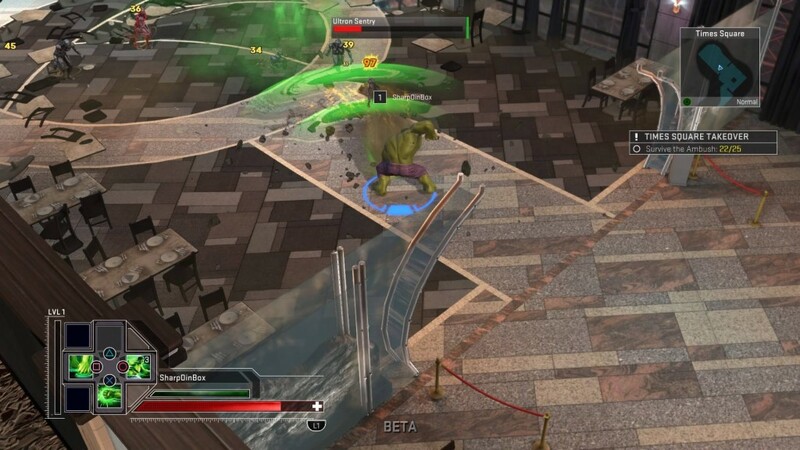 Marvel Heroes Omega assembles one of the largest gatherings of iconic Super Heroes, Super Villains, and locations from the Marvel Universe in gaming history for PlayStation 4, Xbox One, PC, and Mac. From moment one, you’re given a gorgeous introduction sequence featuring some pretty good 3D models and 2D animated sections retelling the origins of the more famous Marvel Heroes. A fair few of the cut scenes in-game follow a more motion comic style and while the blend of styles is a little jarring at first, I give the creators credit for trying something different. 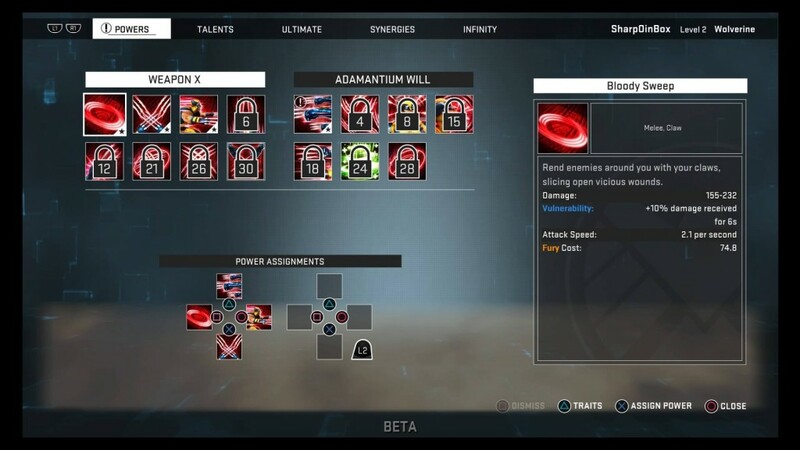 The tutorial drops you in the middle of a mission with Captain America and allows you the time to figure out your buttons before setting you against Ultron and his minions. Each of your attacks is assigned to one of the four face buttons and you can bring up a secondary menu by holding L2. It’s an intuitive system to help console players easily access their full range of abilities that’s a staple of MMOs on consoles. 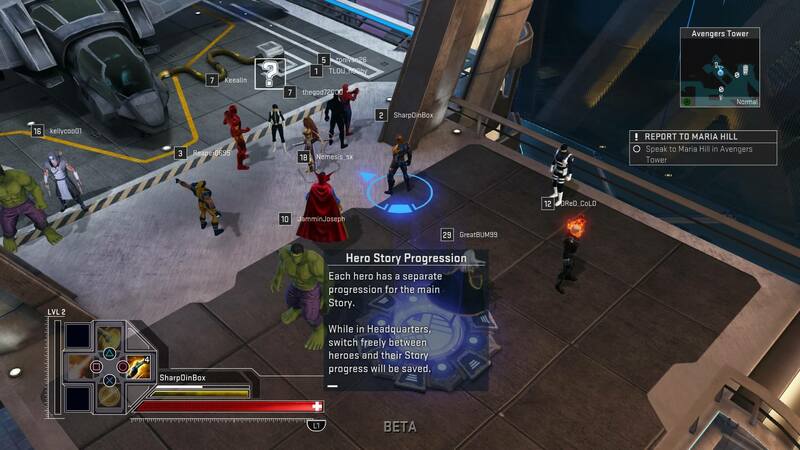 Throughout the tutorial, you’re given the ability to play as Cap, Black Widow and Hulk before they allow you to access the launch roster of heroes. 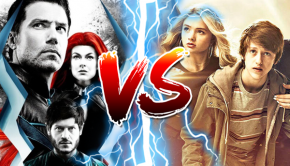 It’s a right Who’s Who of MCU characters alongside more established characters. 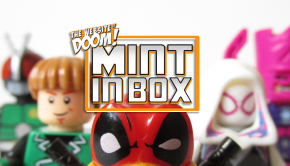 You get all the ones you know and then you get the likes of Wiccan, Squirrel Girl and Angela, which is cool. 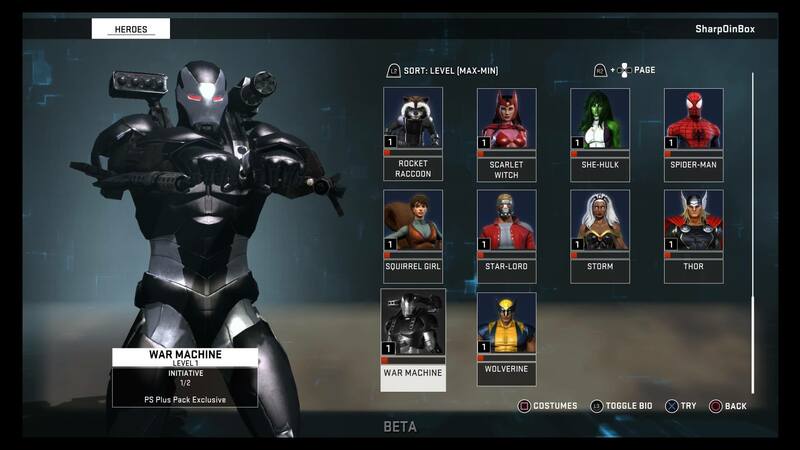 Given this is a Free-To-Play game, you’re given the opportunity to try before you buy any of these characters before Level 10 when you have to pick your starter character. I eventually chose She-Hulk and upon entering the game proper, I noticed a cute quirk this game has. Depending on the characters in the vicinity, there are unique snippets of dialogue from both your character and those of other players. This gives the world a little more connectivity and hearing Shulkie interact with Gambit in the moments in the mission worlds or at the HQ is pretty fun. The voice cast for this game is exhaustive too, bringing in all the voices you’d associate with these characters from various animated shows as well as bringing in actors such as Clark Gregg and Keith David, voicing Agent Coulson and Nick Fury, respectively. 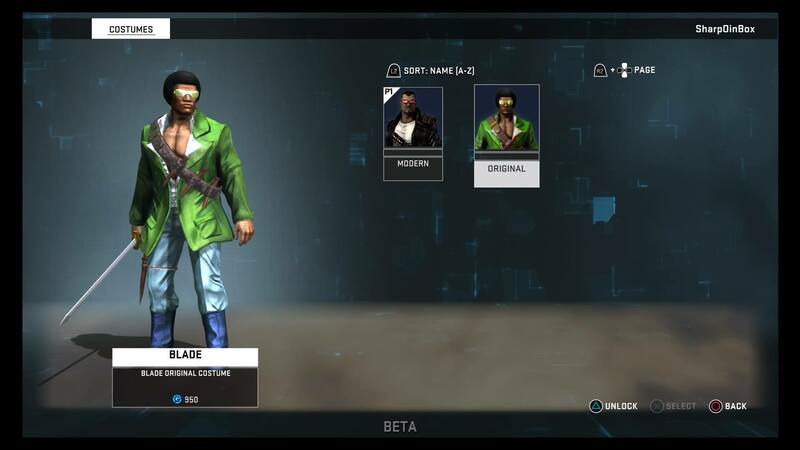 Being a FTP game, more heroes are unlocked through Founder’s Packs of various price points, by using Eternity Splinters or by accumulating the specfic in-game currency to buy them or unlock additional costumes. 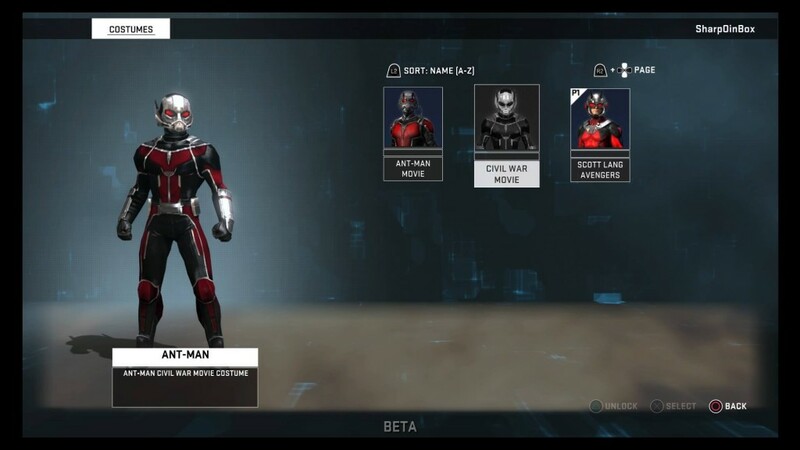 You can get an additional hero for nothing though, by downloading Daredevil for free and the additional Man Without Fear costume for free if you are a PS Plus member. 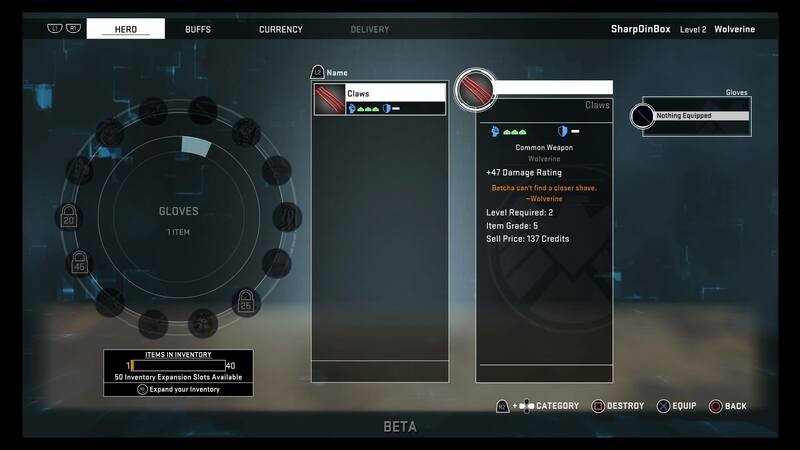 You can customise your heroes with character-specific loot drops for defeating enemies and augment their abilities through levelling or attaching Medallions from defeated super villains. 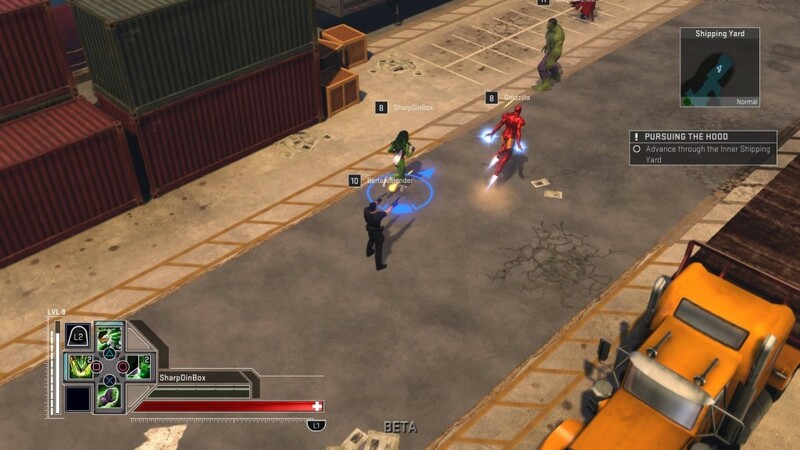 Given the amount of FTP MMO games on consoles at the moment, you could be forgiven for thinking this is just another but the game plays like the X-Men Legends and Marvel: Ultimate Alliance games, taking an isometric view of the action but adds the MMO component and the whole package feels a little like that Avengers Alliance game for its breadth of characters and customisation potential. If you’re looking for a quick and fun MMO to get into or are jonesing for a Marvel game that isn’t on mobile (that’s me) then I recommend giving this game a shot. 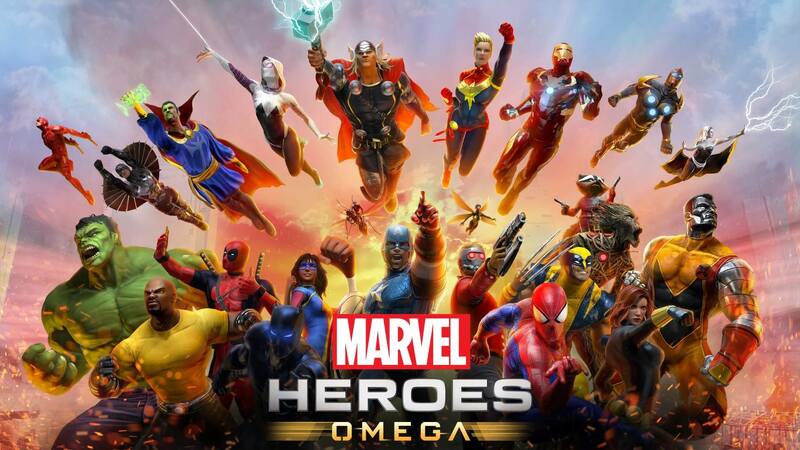 Marvel Heroes Omega is currently available for Open Beta on Playstation 4 and will be officially released on June 4 2017. For more details and updates, head over to the official website and be sure to follow the game’s Twitter.